Here's some news that'll rattle you: as North America warms up and snakes become more active, reports of snake bites are up... and so is the toxicity of their venom. 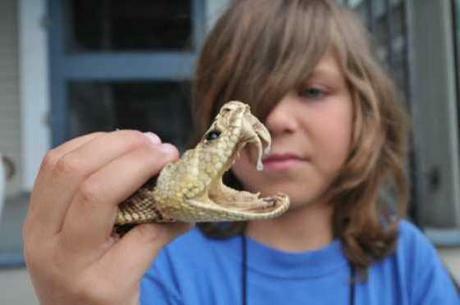 “This is the time of year when we see a rise in snake bites,” confirms Richard Clark, M.D., director of the Division of Medical Toxicology at the UC San Diego Health System. Well fangs a lot, doc, though one must take the scary stats with a grain of salt. Not everyone bitten by a snake reports the incident and seeks medical attention but that ratio of those reporting bites will change if the bites themselves are on average more serious. 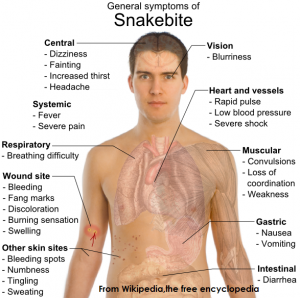 That's exactly what appears to be happening and the phenomenon isn't new: reports of a rise in severe reactions to snake bites have been noted by UC San Diego Medical Center toxicologists since 2007.